Arya in the remake of Superstar Rajinikanth's Pandiyan. 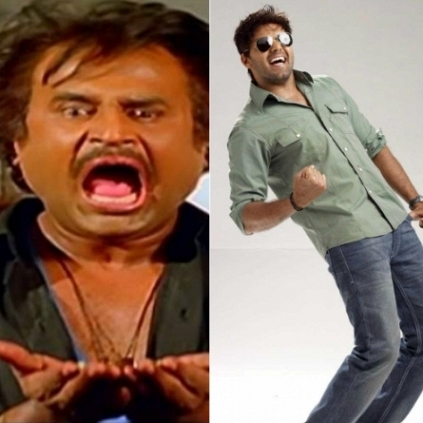 BREAKING: ARYA TO REPRISE 90’S RAJINIKANTH! Director Suraj known for his works like Sakalakala Vallavan Appatakkar and Alex Pandian to name some, is likely to team up with actor Arya for a commercial masala film. Apparently this film will be a remake of Superstar Rajinikanth’s 90’s film Pandiyan. It must be noted that Pandiyan itself was a remake of a Kannada film Tiger Prabhakar and it also was Rajinikanth’s last film with the blockbuster director SP Muthuraman. Sources also add that this remake is likely to be funded by Lakshmi Movie Makers who produced Suraj’s Sakalakala Vallavan earlier this year. Sounds interesting, let’s see how it pans out! Ra One sequel definitely happening! Top 10 - How does the year end? Amy Jackson Celebrates Christmas With Superstar And Team 2.0! Superstar Rajini Provides Shelter To Sanitary Workers Working Post The Chennai Floods. Superstar Rajinikanth Turns 65 Today! Rajinikanth Donates 10 Lakh Rupees For The Chief Minister's Public Relief Fund. People looking for online information on Arya, Pandiyan, Rajinikanth, Superstar, Suraj will find this news story useful.